Toast to good health and many years ahead with the Heart Health Drink Ticket. 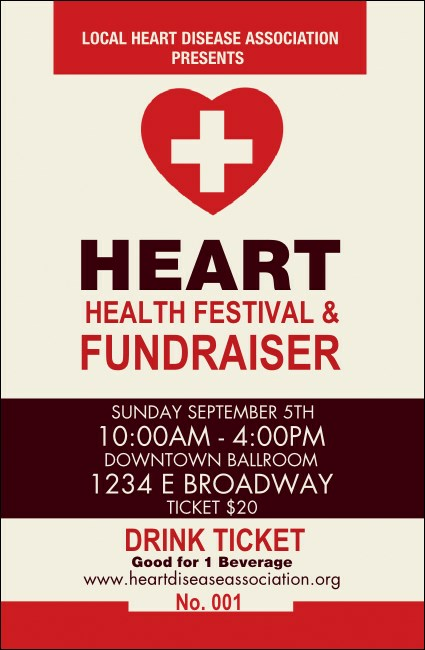 Perfect for a festive medical fundraiser, this ticket template features a white background with red highlights, with a cross in the middle of a heart on top. Keep your guests and service staff happy with this hearty ticket.